Milagro Organic Food Store now has 13 organic herbs and seasoning and you can buy them starting INR 99. Are you the kind who loves the seasoning more than the main dish itself? Well, this one is for you then. You can now buy herbs and seasonings starting INR 99 at Milagro. They have introduced a bunch of new herbs including thyme, basil, oregano, and sage. They also have seasonings for pizza, pasta, salad, garlic bread and more! Milagro grows their Italian herbs on their 30-acre farm in the valleys of Ooty to recreate the Tuscan valley flavour. These seasonings are super affordable too, ranging between INR 99 and 149. 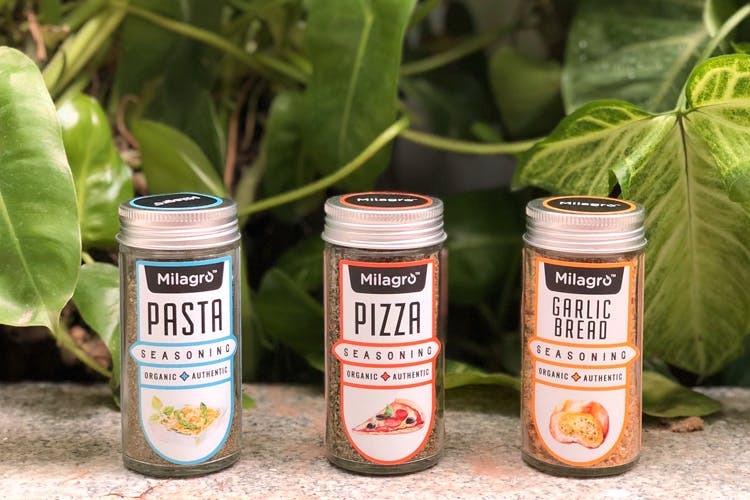 So, dump the old seasoning packets or asking the delivery man for a few extras, and head to Milagro to buy your fresh herbs! There's a contest coming soon, so watch this space to win yourself some herby goodies!